KANSAS CITY, KAN. --- Sporting Kansas City will compete in the MLS Cup Playoffs for the third straight season and 12th time in the team's 18-year history after earning a postseason berth on Saturday based on Major League Soccer results. Sporting KC currently sits in second place in both the Eastern Conference and Supporters' Shield races, one point behind the New York Red Bulls with two games remaining in the regular season. Playoff ticket packages are currently available to Sporting Kansas City Season Ticket Members and those individuals on the season ticket waiting list. Call 888-4KC-GOAL for more information on joining the waiting list and receiving priority consideration. Single-game tickets for potential home playoff matches at Sporting Park will go on sale once dates, times and opponents are finalized. 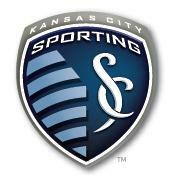 Visit SportingKC.com and follow @SportingKC on Twitter and Facebook for all the latest announcements from the club. Sporting Kansas City will host D.C. United at 7 p.m. CT on Friday, Oct. 18 at Sporting Park in the team's regular season home finale live on the NBC Sports Network. A limited number of tickets, including standing room only tickets, are available to purchase online at Ticketmaster.com. Five days later, Sporting Kansas City will conclude the 2013-14 CONCACAF Champions League group stage when Honduran champions C.D. Olimpia visit Sporting Park for a 7 p.m. CT kickoff on Wednesday, Oct. 23 (tickets here ). Manager Peter Vermes' squad has a one-point lead over C.D. Olimpia in Group 2 and will advance to the tournament quarterfinals with a draw or win. The team's 2013 regular season MLS campaign will come to a close in the same stadium where it began as Sporting Kansas City travels to PPL Park to take on the Philadelphia Union on Saturday, Oct. 26 in a nationally televised match-up on the NBC Sports Network. Philadelphia's 1-1 draw on Saturday at D.C. United secured Sporting Kansas City's postseason qualification. The top five teams, based on points, from each conference at the end of the regular season earn berths in the 2013 MLS Cup Playoffs. The fourth and fifth place teams in each conference will play a single knockout game, at the site of the fourth place team, with the winner advancing to the Conference Semifinals to face the first place team in their conference. The four Conference Semifinals series will be decided by aggregate goal over two games, with the lower seed hosting the first leg and the higher seed hosting the second leg. The winners advance to the Conference Championships to be decided by the same format. MLS Cup will be a single championship match to be played on either Dec. 7 or 8 and hosted by the finalist with the most regular season points.